The benchmarks here do not try to be complete, as they are showing the performance of the languages in one aspect, and mainly: loops, dynamic arrays with numbers, basic math operations. This is an improved redo of the tests done in previous years. You are strongly encouraged to read the additional information about the tests in the article. The big difference this time is that we use a slightly modified benchmark method. Programs are no longer limited to just 10 loops. Instead they run for 90 wall-clock seconds, and then we divide and normalize their performance as if they were running for only 10 loops. This way we can compare with the previous results. The benefit of doing the tests like this is that the startup and shutdown times of the interpreters should make almost no difference now. It turned out that the new method doesn’t significantly change the outcome compared to the previous benchmark runs, which is good as the old way of benchmarks seems also correct. For the curious readers, the raw results also show the maximum used memory (RSS). 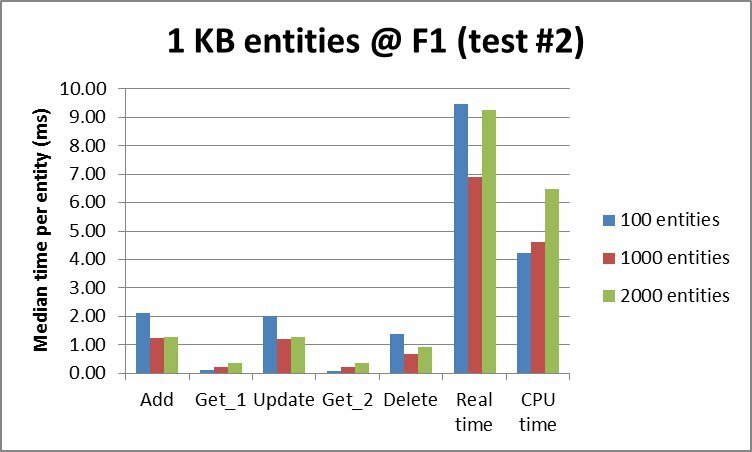 C# .NET Core on Linux, which we also benchmark for the first time, performs very well by being as fast as NodeJS and only 78% slower than C++. Memory usage peak was at 230 MB which is the same as Python 3.5 and PHP 7.0, and two times less than Java 8 and NodeJS. NodeJS version 4.3.x got much slower than the previous major version 4.2.x. This is the only surprise. It turned out to be a minor glitch in the parser which was easy to fix. NodeJS 4.3.x is performing the same as 4.2.x. Python and Perl seem a bit slower than before but this is probably due to the fact that C++ performed even better because of the new benchmark method. 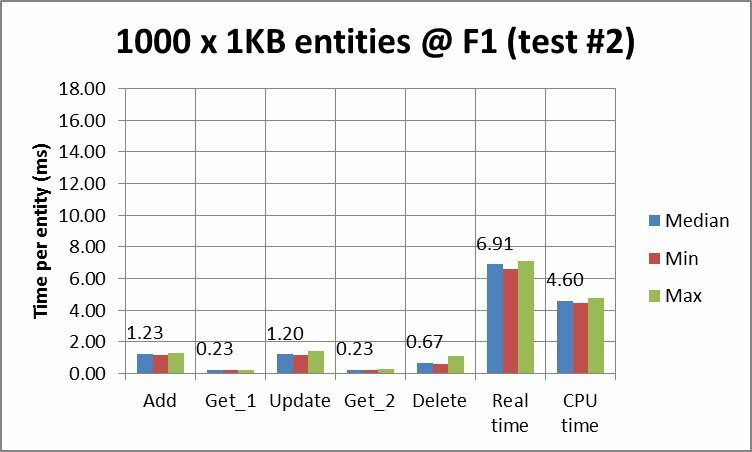 Java 8 didn’t perform much faster as we expected. Maybe it gets slower as more and more loops are done, which also allocated more RAM. Also review the analysis in the old 2016 tests for more information. The tests were run on a Debian Linux 64-bit machine. Update @ 2016-10-15: Added the Rust implementation. The minor versions of some languages were updated as well. Update @ 2016-10-19: A redo which includes the NodeJS fix. Update @ 2016-11-04: Added the C# .NET Core implementation. Categories: Development | Tags: benchmark, c++, c++ benchmark, Go, java, java 8, nodejs, perl, perl benchmark, php, php benchmark, PyPy, python, python benchmark, Ruby, Rust | Permalink. This is a redo of the tests done in previous years. You are strongly encouraged to read the additional information about the tests in the article. Yes, that’s not a mistake. Apparently the PHP team did a great job! The rumor that PHP 7 is really fast confirmed for this particular benchmark test. You can also review the PHP 7 infographic by the Zend Performance Team. NodeJS got almost 2x faster. Java 8 seems almost 2x slower. Python has no significant change in the performance. Every new release is a little bit faster but overall Python is steadily 15x slower than C++. Perl has the same trend as Python and is steadily 22x slower than C++. PHP 5.x is the slowest with results between 47x to 60x behind C++. PHP 7 made the big surprise. It is about 10x faster than PHP 5.x, and about 3x faster than Python which is the next fastest script language. Categories: Development | Tags: benchmark, c++, c++ benchmark, java, java 8, nodejs, perl, perl benchmark, php, php benchmark, python, python benchmark | Permalink. I admire the idea of Google App Engine — a platform as a service where there is “no worrying about DBAs, servers, sharding, and load balancers”. And you can “auto scale to 7 billion requests per day”. I wanted to try the App Engine for a pet project where I had to collect, process and query a huge amount of time series. The fact that I needed to do fast queries over tens of 1000’s of records however made me wonder if the App Engine Datastore would be fast enough. Note that in order to reduce the amount of entities which are fetched from the database, couples of data entries are consolidated into a single database entity. 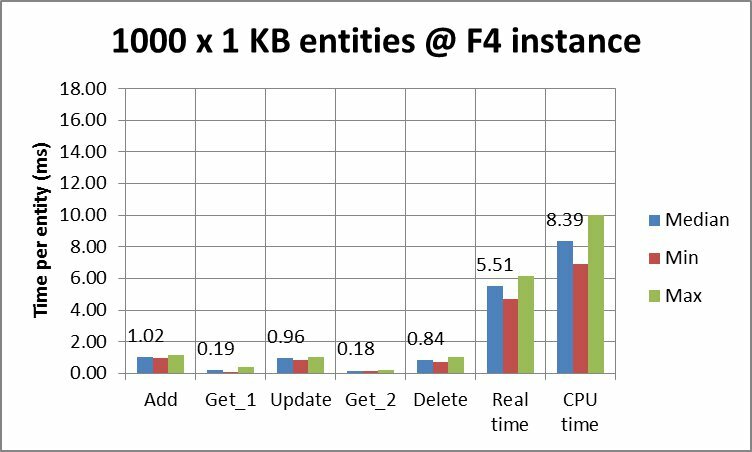 This however imposes another limitation — fetching big data entities uses more memory on the running instance. My language of choice is Java, because its performance for such computations is great. I am using the the Objectify interface (version 4.0rc2), which is also one of the recommended APIs for the Datastore. Unfortunately, my tests show that the App Engine is not suitable for querying of such amount of data. 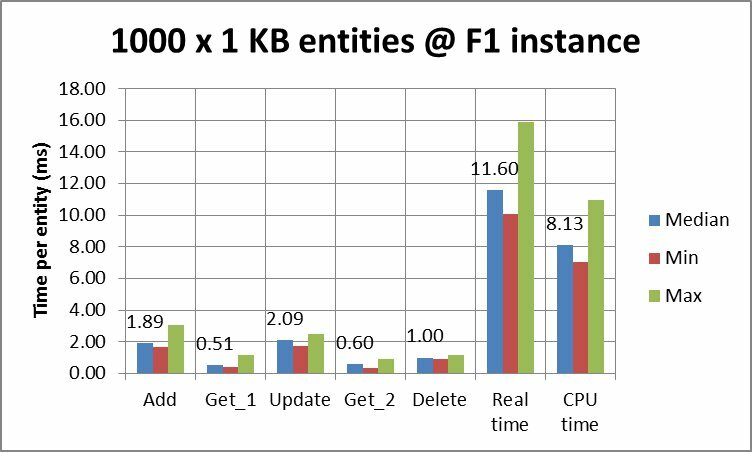 For example, fetching and updating 1000 entries takes 1.5 seconds, and additionally uses a lot of memory on the F1 instance. You can review the Excel sheet file below for more detailed results. Adds a bunch of entries. Gets those entries from the database and verifies them. Updates those entries in the database. Gets the entries again from the database and verifies them. All Datastore operations are performed in a batch and thus in an asynchronous parallel way. Furthermore, no indexes are used but the entities are referenced directly by their key, which is the most efficient way to query the Datastore. The tests were performed at two separate days because I wanted to extend some of the tests. This is indicated in the results. A single warmup request was made before the benchmarks, so that the App Engine could pre-load our application. Categories: Development | Tags: appengine datastore, benchmark, google app engine, java, objectify | Permalink.